Stephenholtshow's Blog | a.k.a. "The Oscar Messenger"
Rami Malek made history in more ways than one at last night’s Academy Awards. He gave a rousing, impassioned speech emphasizing his ethnicity as “an immigrant, a first generation Egyptian,” thanked everyone he could think of, and then, when the cameras weren’t rolling, and the show cut to a commercial break, he fell off the stage! Rami Malek falls off the Oscar stage. He was treated immediately by para-medics. Who knew that a team of them would be standing by at the Oscars, prepared for eventualities like this? And he was deemed fine and released to go backstage to the Press Room, where he was as crisp as a dry martini, clearly shaken, not stirred. Rami after his tremendous fall from the Oscar stage, back almost immediately in the Press Room. The press on “Bohemian Rhapsody” was mixed, to say the least, but always laudatory for his galvanic portrayal of Freddie Mercury. “Bomhemian Rhapsody” also won the most Oscars of the night ~ four. It won for Best Editing, Best Sound Mixing and Best Sound Editing. He did the most politic thing imaginable by thanking what was left of the assembled Press Corps in the Press Room for staying to talk to him and to ask the questions they stayed to ask (see You Tube) and that he wouldn’t have gotten his Oscar without their support, and coverage which was true. Abundantly so. But nobody ever thanks us. He also noted again in his all-too-brief Q&A that he was the first member of his ethnicity to win the Best Actor Oscar. And he also made a point in both speeches that he was playing a gay character. It was also a big night for the LBGTQ community, because there was more queer representation among the award-winning Oscar characters than ever before. Olivia Coleman, who won Best Actress in the biggest surprise upset of the night for her daffy, adorable, despotic dyke of a Queen in “The Favorite”, and Mahershala Ali won Best Supporting Actor for playing his gay jazz pianist, Billy Williams in “The Green Book.” Which also won Best Picture. In fact, all told there was more gay representation than ever before at this year’s Oscar, making it the most gender diverse as well as diverse Oscars in history. My favorite moment? Rami’s much-deserved win, of course. And I’m also so glad that we only heard about his tumble from the stage later on and that it was not shown as part of the show. I can’t wait to see what Rami does next! Rami Malek has already won a slew of awards on his road to the Oscars. He just nabbed Best Actor at BAFTA, following his Golden Globe and SAG, making the young Malek a certifiable lock for the top honor. His performance is one for the ages. He’s just astounding. A man on fire, he never stops moving or compelling and fascinating us. He also almost never stops singing the great QUEEN standards. And guess what? He’s lip-syncing them all. Seamlessly. You can’t tell when Mercury stops and Malek begins, his performance is all consuming. And also consummate. Malek gives us his quiet, introverted moments as well as his genuine gender confusion about his burgeoning bi-sexuality. Malek does not stint in any way in performing what is surely going to be known as the defining one of his career. Be sure to catch his historic win on Sunday night on ABC-TV. No actor of Middle-Eastern, certainly not of Egyptian heritage, has ever won Best Actor at the Oscars before. This year will be the most diverse Academy Awards yet, I predict. Love Rachel Weisz! Always have. She’s one of the best actresses we have today and yet she’s never won a BAFTA on her home turf of Great Britain. But she did tonight for “The Favourite” for Best Supporting Actress. Will she prevail at the Oscars in this very much up-in-the-air category? She’s already won one, again in the Supporting Actress category for “The Constant Gardener” way back when at the beginning of her film career. She was a slam dunk that year and didn’t really that year and didn’t have much competition, but she does this year from home town favorite Regina King in “If Beale Street Could Talk.” An African-American actress who was unknown to me until she got this nomination, King has gone on to win both the Golden Globe and the Critics Choice Award. However, she was not nominated for the SAG Award which wonderful Emily Blunt won in a surprise(But not to me) for “The Quiet Place.” King was also not nominated for the BAFTA and tonight Weisz staked her formidable claim for this year’s Supporting Actress trophy. 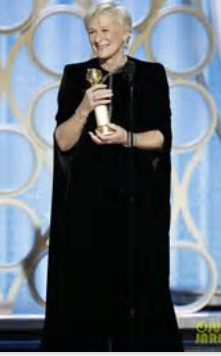 Very conscious of diversity, King is not the slam dunk she seems because also in this category this year is Mexican actress Marina de Tavira for the film that everyone is tauting as the presumptive Best Picture Winner Alphonso Cuaron’s masterwork “Roma.” She gives a wrenching performance as the distraught, abandoned doctor’s wife, whom Jalitzia Apericio’s nanny, Cleo, is working for. She acts in Spanish AND English and is one of Mexico’s most esteemed and successful actresses. Unlike Jalitza, whose first film this is. Academy Voters, who have their ballots in their hot little hands right now might just want to give the hotter-than-hot “Roma” an Acting Award, or two, to go with all the accolades they are going to be throwing at Cuaron’s great film. Which might very well help unknowns like Marina De Tavira and even Jaliztia Apericio, too. Poor Emily Blunt! This, I imagine, is how she looked this morning as the list of the Oscar Nominees was read! Alfonso Cuaron, who was just nominated himself for an astonishing FOUR Oscars(director/writer/cinematographer/producer) brought Marina and her non-actress peasant nanny co-star Yalitza Apercio Everywhere that he went since he began campaigning at every press event imaginable since the film’s release. In English or in Spanish, it didn’t matter since Marina (and he) speak both, although Yalitiza speaks only Spanish. And Cuaron always thanked the BOTH of them. So Academy voters were seeing and hearing her name all season. In addition to creating a masterwork of cinema, in the process Cuaron is bringing the positive side of his homeland, Mexico, the United States when America really needs to become acquainted with all the positive sides of Mexicali life that is possible. And “Roma” does this beautifully. And the fact that it’s subtitled and in Black and White and Spanish can only serve to bring our two countries closer. My Spanish isn’t that great, but I understood every single little thing that was happening in “Roma.” I can’t wait to see it continue its triumphant march to the Dolby in February. I ‘ve even witnessed De Tavira’s charming, extremely elegant presence at the press conference at the New York Film Festival this year, where it was my great pleasure to see “Roma.” I can’t stop talking about this incredible film. Every time I see Yeletiza Apericio’s angelic face, I have to stop myself from bursting out crying. Controvsial buddy/ road trip film won Best Picture of the Year Award over fierce competition from “Roma” and “Star is Born” and several other films. The Peter Farrelly comedy based on a true story about a noted African-American jazz musician and his for- hire body guard touring through the rural segratated South in the early 1960s stars Screen Actors Guild nominee Viggo Mortensen and Academy Award nominee Marhershala Ali. Ali also won the Golden Globe Award for this performance and the Broadcast Critics Association Award for Best Supporting Actor. This PGA Award positions “The Green Book” very firmly at the head of this crowded Oscar race in a tumultuous season. “Roma” Wins Best Picture from the Broadcast Film Critics! Close ties with Gaga, no REALLY!Christian Bale wins TWICE! “Roma” makes history at the Broadcast Film Critics tonight. It becomes the first foreign language film to ever win Best Picture. It also won Best Director for its genius helmer Alfonso Cuaron, and he also won for Best Cinematography. Altogether “Roma” won the most awards tonight as it also won Best Foreign Film. History was also made when Glenn Glose for “The Wife” tied with Lady Gaga for “A Star is Born.” That is a combo I thought I would never in this life see onstage together ! Both WINNING! For those who care about these things, Lady Gaga’s leading man/director/co-screenwriter/co-producer Bradley Cooper once again got SQUAT! Nada. Nothing Zilch! Just like he also got completely shafted by the Golden Globes. Gaga’s win here least keeps her in the race, to some degree. 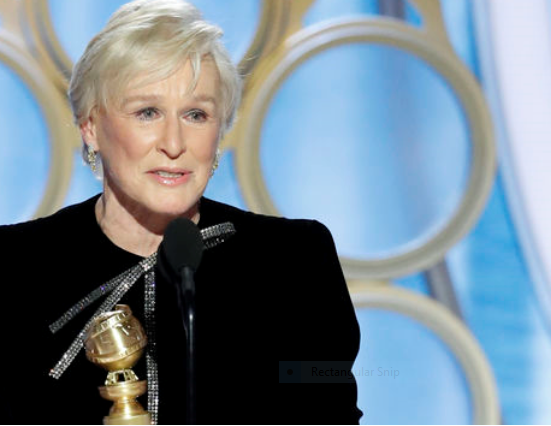 But the Academy, who hands out the Oscars is going to give it to 70-something veteran Glenn Close, who has six previous nominations and no wins. 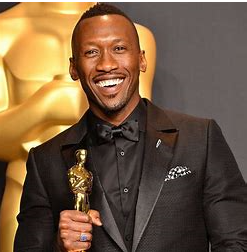 Mahershala Ali nailed Best Supporting Actor once again for “The Green Book,” and he will probably go on to repeat his Golden Globe triumph at the Oscars. This category is now officially closed. Regina King also won, AGAIN, for “If Beale Street Could Talk” but she won’t win at the SAGS because she wasn’t nominated there. Watch Amy Adams for “Vice” take that.